A tool box, cart or chest is the perfect home for all your wrenches and other tools. When it comes to tool organization, everybody is going to have a different idea of what's effective or right for them. Regardless, it's important to have some form of organization, as it'll help you to find what you need quickly, as well as keeping your tools in good condition and not piled on top of each other. Below, we’ve put together some general tips and advice on how you could properly organize your toolbox. If you have a range of tools beyond simple wrenches, then you could organize them by type in separate draws, which will help avoid any confusion when working. You could also sort by drive size to save yourself time, as you'll know what end of the tool box to look towards when locating a specific required socket size and drive. Many tool boxes have multiple draws that fold out into a staircase formation. This provides a stacked view of all your tools, but also opens up the possibility of organizing your tools into different sections based on their type. Upper drawers are useful for storing sockets, given that they are usually relatively small drawers. This can be made easier with a decent socket organizer, though you might be limited in the type you choose by the height of the drawer. Middle drawers can be useful for storing your wrenches, as well as other tools such as screwdrivers, pliers, chisels, and so on. Any tools of a similar size and weight can be stored here. Bottom drawers should be reserved for the heavier tools in your arsenal, as this helps provide greater stability in your tool box. The lower drawers are also generally the biggest compartments in most boxes, so you’ll have the most space for your larger implements, such as hammers or power tools. Contrary to the above methods, some engineers and mechanics prefer to organize their tool boxes by their most-used tools. By using the middle drawer for tools that you access most often, you can save time searching through other sections for the wrench you need. Naming and labeling sections of a tool box is something that you could do in combination with the above methods, or independently of it. Using a label gun, you can create labels for your tool box sections, splitting them into a per-draw organization, or splitting each draw into multiple sections for different purposes. Think carefully about what tools you need in your toolbox, culling anything that absolutely isn't required, is never used, or is broken. Most people will only need a set of good-quality screwdrivers, a hammer, a set of wrenches, and a set of pliers, as well as other basic equipment such as a flashlight, tape measure and gloves. 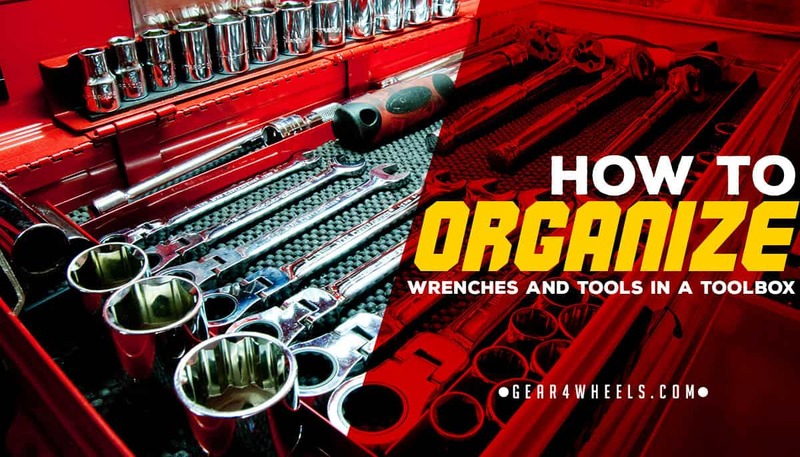 I want to organize my tools this spring so thanks for sharing this. I like your point about storing smaller things like sockets at the top. I’ll definitely consider this so it’s easier to access.